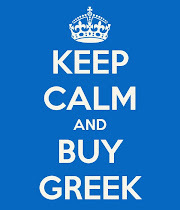 Buy GREEK: #BuyGREEK4Xmas: Buy GREEK for Christmas this year - Support #Greece! Φέτος στις Γιορτές Επιμένω #ΕΛΛΗΝΙΚΑ - Στηρίζω την Ελλάδα! 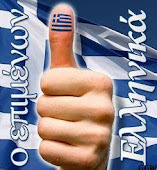 #BuyGREEK4Xmas: Buy GREEK for Christmas this year - Support #Greece! Φέτος στις Γιορτές Επιμένω #ΕΛΛΗΝΙΚΑ - Στηρίζω την Ελλάδα! Thanks to all those who have accepted/will accept the invitation to join everyone at the 5th Annual Buy GREEK for Christmas Campaign and thus increase awareness of how important each of us is in helping to stimulate the Greek economy by buying Greek products and services. 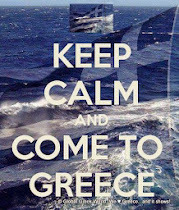 You don't need to be anywhere on any particular date... all it means is that you will probably buy/even make something Greek, kourambiedes, taramosalata, olives, feta, yoghurt, a piece of chocolate, eat at a Greek restaurant, download a Greek song, buy a book, a leather bag, a pair of leather sandals, a theatre ticket, a DVD/CD, buy a bottle of Greek wine, olive oil, a tin of wonderful olives, a bottle of Masticha liqueur, ouzo or tsikoudia, visit a Museum, book your holiday in Greece, take the Metro to Monastiraki and have a souvlaki or catch a ferryboat to an island. Just click and share, share, share - tell your friends, tell the world, that you are proud to be one of those who support Greece - proud to be part of the Buy GREEK movement! Help us get a million likes by clicking on share and/or inviting your friends to join so that we can spread the word around the world! If each one of us invites our friends the sky's the limit! If you are a business in Greece or abroad with Greek products or services, a writer, a museum etc and would like to send us one of your products to try, promote or as a prize for the draw, tell us! All donations to our #BuyGREEK4Xmas event will get mentioned on our pages. Φέτος για 5η χρονιά συνεχίζουμε την καθιερωμένη - με την δική σας βοήθεια βεβαίως - εκστρατεία μας - Buy GREEK for Christmas - Φέτος στις Γιορτές Επιμένω ΕΛΛΗΝΙΚΑ! Κάντε Like στην Χειστουγεννιάτικη σελίδα μας εδώ και στην γενική του @BuyGreek εδώ, μοιραστείτε την εκστρατεία μας και μπείτε στην κλήρωση για ένα από τα δώρα που θα κληρωθούν στις 22 Ιανουαρίου, 2015, στη λήξη της εκστρατείας μας.